We can’t cover every news story ourselves. Fortunately, there are a lot of great sources for reality TV news and gossip. 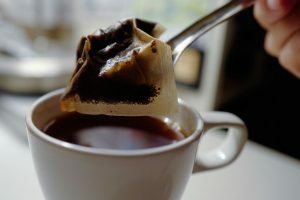 Check out this links from some of our favorite sites in the April 12, 2019 edition of Friday Morning Tea. Cynthia Bailey has been very vocal about her desire to get married to Mike Hill. She even made a hashtag combining her first name and his last name: #CHill. To put it nicely, she’s enthusiastic. Still, there are some people who aren’t buying the constant hype around the relationship. 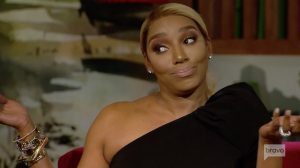 One of those people is none other than the biggest hater of them all NeNe Leakes. She is one of many people who are tired of hearing Cynthia talk about her plans to get married to Mike ASAP. Even though they are NOT even engaged. I can’t help but wonder how Mike feels, (most likely) getting Google alerts about his own wedding to his non-fiancee. How awkward. 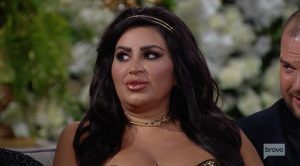 Before the last Real Housewives of Beverly Hills episode even aired, fans were using the hashtag #GoodbyeKyle with countless insults aimed at Kyle Richards. Of course, fans devised that hashtag based on Ken Todd’s parting words when he and Lisa Vanderpump kicked Kyle out of Villa Rosa. Then, Kyle decided to use the hashtag in her own Instagram Stories. Some people thought this was disrespectful to Ken and Lisa. Others thought it was hilarious and applauded Kyle for turning a negative into a positive. There are very few people in between those two extremes. Now, Kyle is speaking out about the #GoodbyeKyle response. 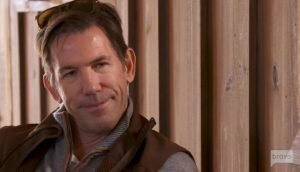 Being Thomas Ravenel’s lawyer seems like a lifetime commitment. He has too many legal cases to keep track of these days. He is currently embroiled in a nasty custody battle with his ex Kathryn Dennis. Aside from that, he is facing sexual assault allegations. His lawyer has to be very busy these days. Now Thomas and his lawyer are requesting some very personal information in an attempt to build a case against her in their ongoing custody dispute. Shouldn’t Thomas focus on staying out of jail before he tries to get custody of his two kids?